With rolling sand dunes, soaring mountains, vast lakes and vivacious cities, Chugoku is a varied and colourful region that should be firmly on the list for any travelers with their sights set on Japan. It encompasses the prefectures of Hiroshima, Okayama, Shimane, Tottori and Yamaguchi. Let’s look at some highlights of each. In our humble opinion the star of the region. Hiroshima is without doubt a scarred city, evident from the remains left by the devastation in the wake of the nuclear bomb. Yet it’s also hugely likable, criss crossed by rivers, with fantastic food, a cracking nightlife and friendly and humorous citizens. It’s the biggest city in Chugoku, but travelers can find enchanting gems beyond the city too. One cannot conceive of a trip to Hiroshima without visiting the Peace Memorial Park. 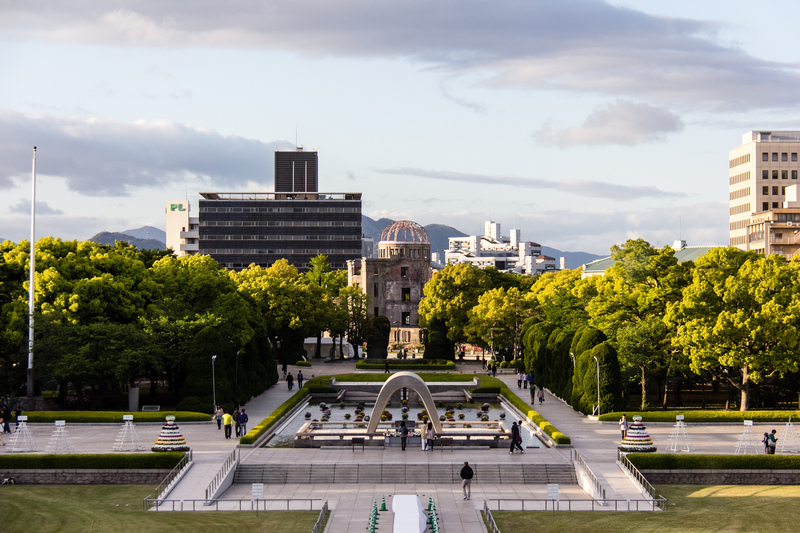 The derelict A-Bomb dome serves as a stark reminder of the destruction this city encountered, whilst the Peace Memorial tells the tragic story of the circumstances and realities of this dark chapter in the history of Japan. Yet numerous statues pepper the area calling for a harmonious future, whilst prayer bells chime and children fold paper cranes as a symbol of peace. The island of Miyajima is a hop skip and a jump away from Hiroshima. 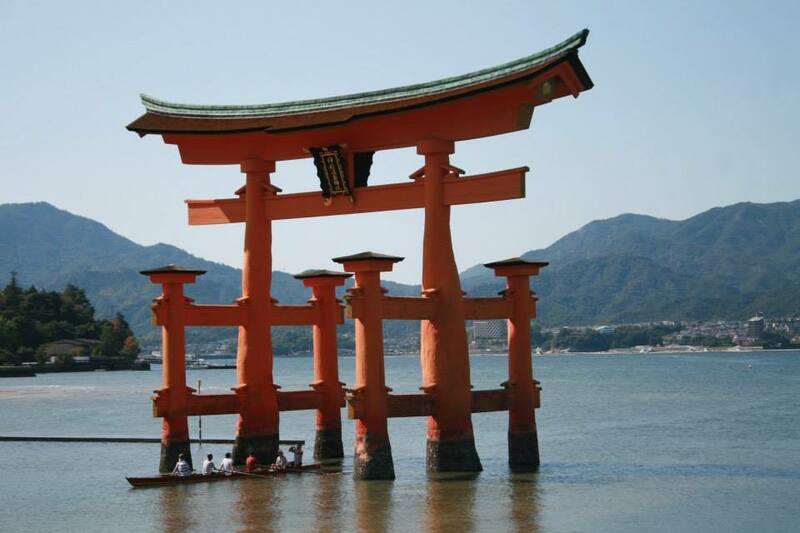 A UNESCO heritage sight, Miyajima is one of the top places to visit in the whole of Japan, let alone Chugoku. Drinking in the sight of the great torii gate that symbolises Miyajima is an unforgettable experience, whilst the island also offers divine temples, tremendous hiking and traditional ryokan – Japanese Inns. For the animal lovers amongst you, here you’ll find plenty of extremely confident deer, who are completely used to human company and will even chomp food out of your hand. Hiroshima style okonomiyaki is the stuff dreams are made of – greasy, delicious, fried, great-with-a-beer kind of dreams. Distinct from Osaka style in that it is cooked in layers with extra egg and yakisoba noodles, there are dozens of cheap and cheerful places where the expert staff will fry this up for you right in front of your own grill. If you adore mouthwatering okonomiyaki as much as we do, try our online recipes. Let us know whether you prefer Osaka or Hiroshima style – the ultimate toss up. If you’re interested in getting your hands on real local Hiroshima specialities, make the most of our Chugoku food festival at Japan Centre. Included is Suishin Junmai Ginjo Sake – a top notch sake, as well as unique oyster flavoured nori and white miso. The least populous region in all Japan, this is a friendly, laid back kinda place with tempting beaches along its northern coastline. 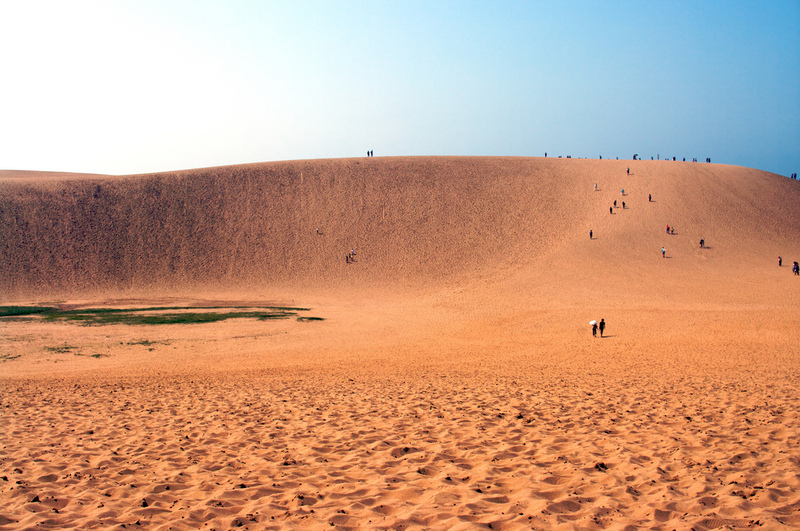 The indisputable highlights of this endearing prefecture are the great sand-dunes, by far the largest in all Japan. Travellers come from far and wide to frolick, ride camels, sandboard and do all sorts of other weird and wonderful activities – all in the name of sand. 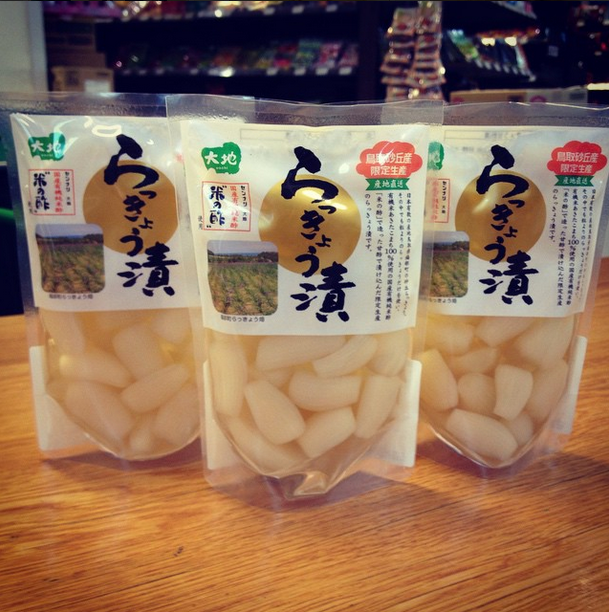 These limited edition shallots are pickled in the region of the Tottori sand dunes. A cracking accompaniment to katsu curry, you can grab them Japan Centre Piccadilly whilst stocks last. The Wild West of Chugoku, Yamaguchi spreads from Hiroshima in the East all the way to the tip of Western Honshu, where the island of Kyushu is just a hair’s breadth away. Whilst there are no mega cities, it is home to beautiful castle towns, quiet shrines and remarkable structures. 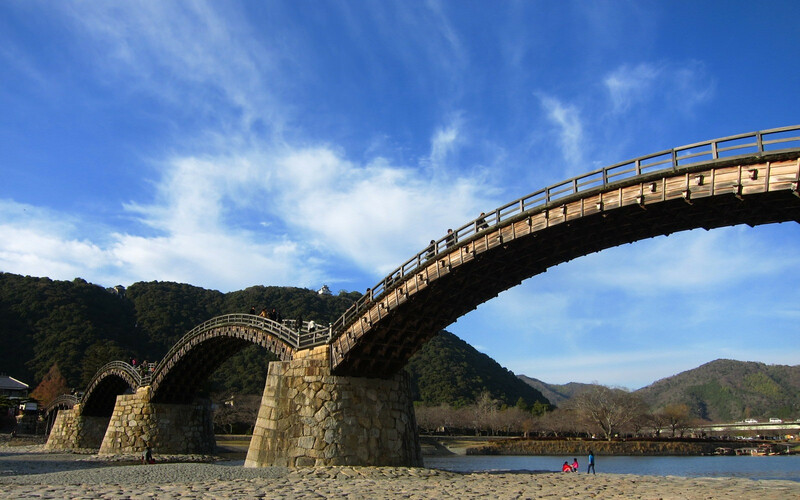 With a history dating back to the 17th Century, Kintai Bridge is a national treasure in Japan and a particular popular tourist spot during the cherry blossom season. You’ll find it in the town of Iwakuni. The Shimane tourist board describe this prefecture as “the hidden soul of Japan”, which is certainly apt. The prefecture boasts gorgeous islands and spiritual sites – it’s the kind of place you need to dig away at to reveal the priceless potential inside. 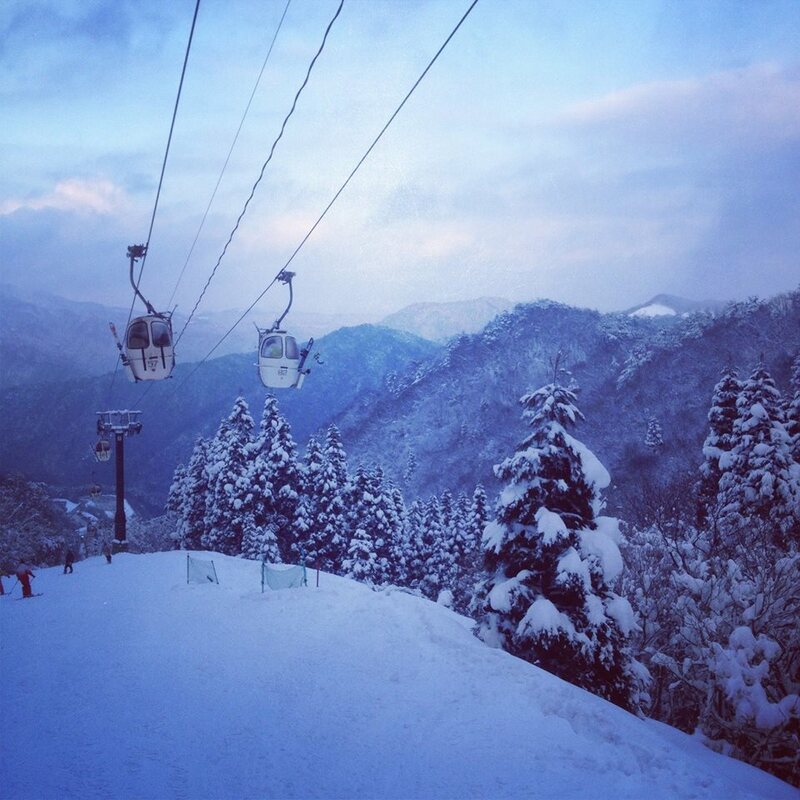 One of the many ‘secrets’ of Shimane is Mizuho Highland Ski resort, which offers some cracking skiing at a fraction of the cost you’d pay in Europe. Whilst dwarfed by the giant resorts of Hokkaido, Shimane is a great option for ski lovers in Chugoku. 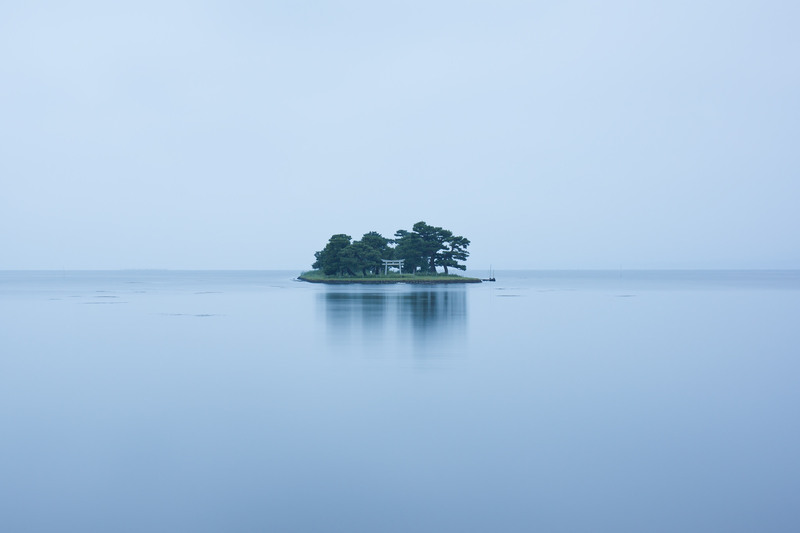 The serenity of Lake Shinji is a God-send. It’s the perfect place to get in touch with the spiritual history of Shimane and Japan. For those willing to hop off the bullet train at Okayama, rewards abound including one of Japan’s finest parks and castles. 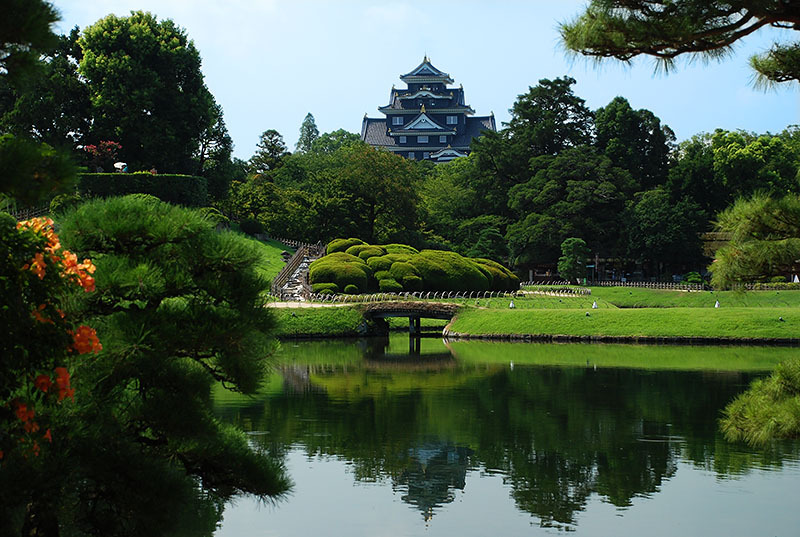 This is Kōrakuen, one of the premier gardens in Japan, with the distinctive Okayama Castle looking down from the horizon. With rare birds, waterfalls and lush greenery, this a good place to wonder lost in thought. Who’s this cheeky chappy? It’s Momotaro, or peach boy! 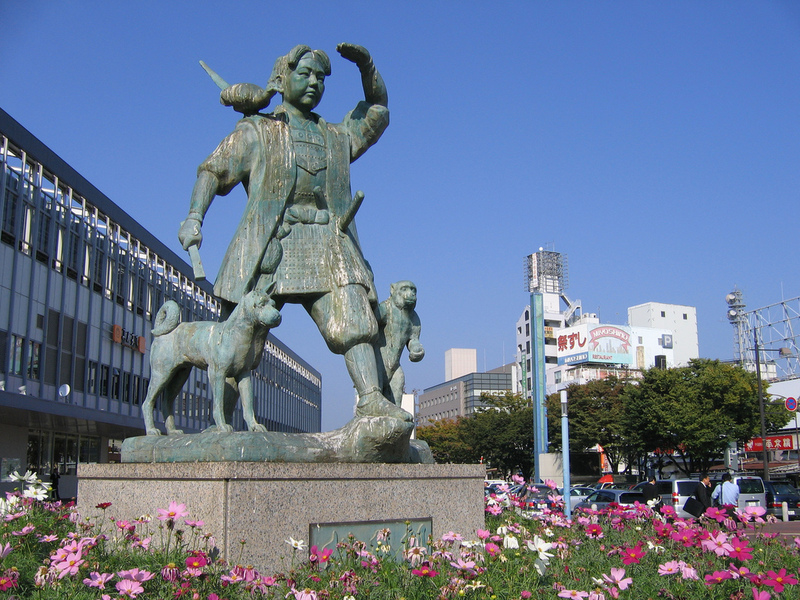 The protagonist in Japan’s most famous fairytale, the story of Momotaro heralds from Okayama, and the city celebrates this legacy with numerous statues. The story goes that a plump peach floated down a river one day and Momotaro emerged from it, much to everyone’s surprise. Later, he went onto befriend a pheasant, a dog and a monkey and go forth to defeat some marauding oni demons. Top lad. As you can see, Chugoku is a region rich in beautiful sites and experiences, and we’ve barely scratched the surface. But if you can’t make it here anytime soon, at least you can dine on the regional variations and experience Chugoku through its remarkable cuisine as part of the Japan Annual Food Fair. Check out our Chugoku range online or at Japan Centre Piccadilly and connect with Chugoku. Posted in Travel and tagged Hiroshima, japan, okonomiyaki, Tottori, Travel, travel Japan. Bookmark the permalink.